Seeing the big picture of a trip can mean a lot for a travel agent client - it could even make the difference in getting more travel bookings. 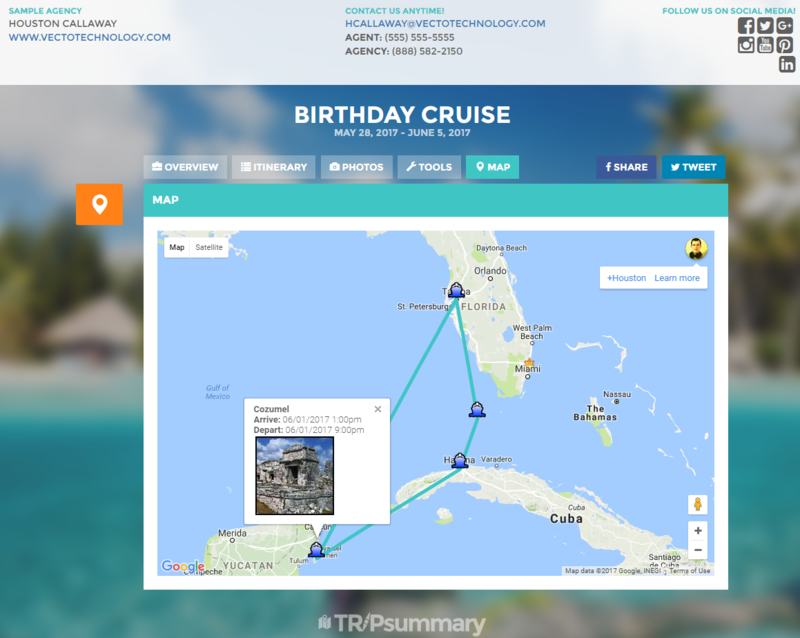 With Trip Summary's map feature, not only will your clients see their travel itinerary in a beautiful, detailed layout, they will also be able to see it on the map! Managing what displays on the map is easy with Travel Itinerary Software! Select what components to display or hide, and save! Travel agents can even opt-out of the lines between components. © 2019 vecto technology, llc. all rights reserved.